It is finished! 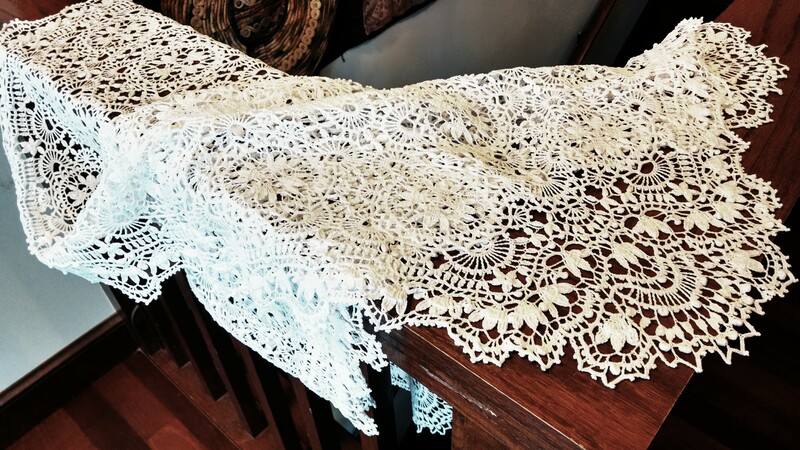 I made modifications to one of the sides and designed corners for the Ebenezer Lace. 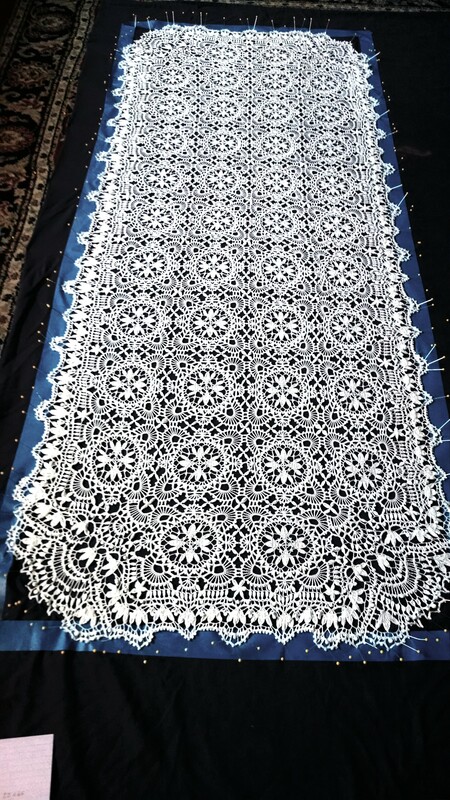 This altar lace was originally made a specific shape by the request of the temple matron in order to fit a particular altar. After four months in service, we determined that the corner cut idea wasn’t working well. 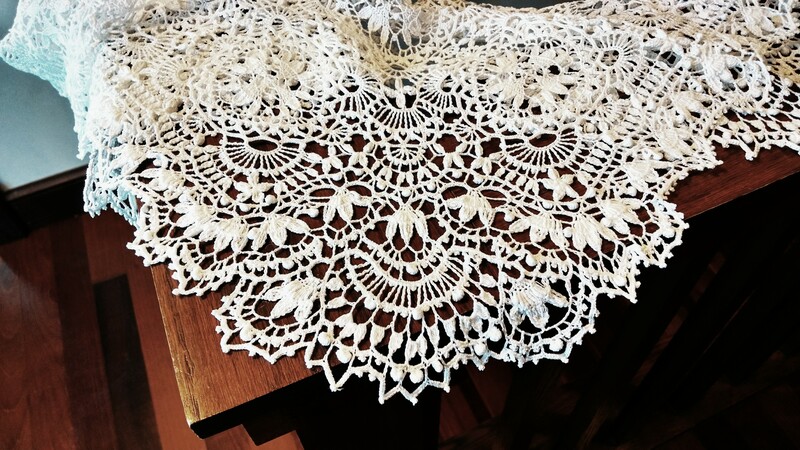 The lace kept sliding out of position without corners to add stability. So I took it home and have been working on a redesign of the edges, including a fill-in for the missing corners. I was able to continue the Linnaea blossoms as well as the radiating line theme. The corners are complimentary. I am really pleased with the result. This lace will be turned in Friday. Hopefully it will fit as beautifully on the altar as it looks in a picture. Simply stunning! I could never imagine even making such a wonderful piece, let alone design one. Your new corners really add a new dimension! I would really like to make this pattern. Could you tell me where I could purchase it..Thank you very much. Judy, Unfortunately, I don’t have a copy of it. The pattern is an original pattern that I designed, and I haven’t written it in more than just chicken scratch notes. I need a design program to really do it justice and I haven’t gotten there yet. oh I love this one. I was looking for this pattern from you picture at the top. Do you have the pattern available???? ?